Quiet, private, close to the Beach, very good parking area, very clean, well serviced daily and very pleasant helpful owners that lived on site. Lovely gardens around the apartments. Would stay here again. Lovely apartment. Great size. We stayed in a 2 bedroom apartment. Nice outdoor seating where you can hear and see the sea. We had the 2 bedroom apartment which had 2 lovely outdoor sitting areas, one overlooking the sea. The apartments are beautifully kept with a lovely garden. The owners are very friendly and welcoming, the chilled wine and water on arrival as well as home made cake one morning were much appreciated. The location is perfect, next to a beautiful beach and only a short walk from many lovely tavernas. 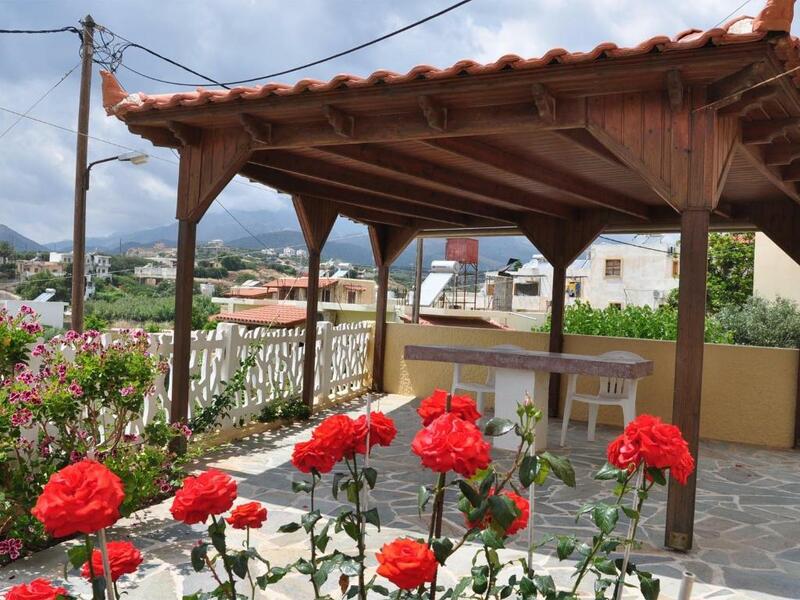 very friendly and helpful hosts; clean and well located in a quieter area of Makry-gialos. We would like to thank the owners of this beautiful little complex for making us feel so welcome from the very first moment of our arrival. We had a fantastic , quiet relaxing holiday. Lock in a great price for Perigiali – rated 9.4 by recent guests! One of our top picks in Makry Gialos.Just 150 feet from the beach and 1,000 feet from the small port of Makry Gialos, Perigiali features a colorful garden, a traditional wooden oven and BBQ facilities. All apartments open to a patio or terrace with Libyan Sea and mountain views. The air-conditioned units come with free Wi-Fi and a satellite, flat-screen TV. 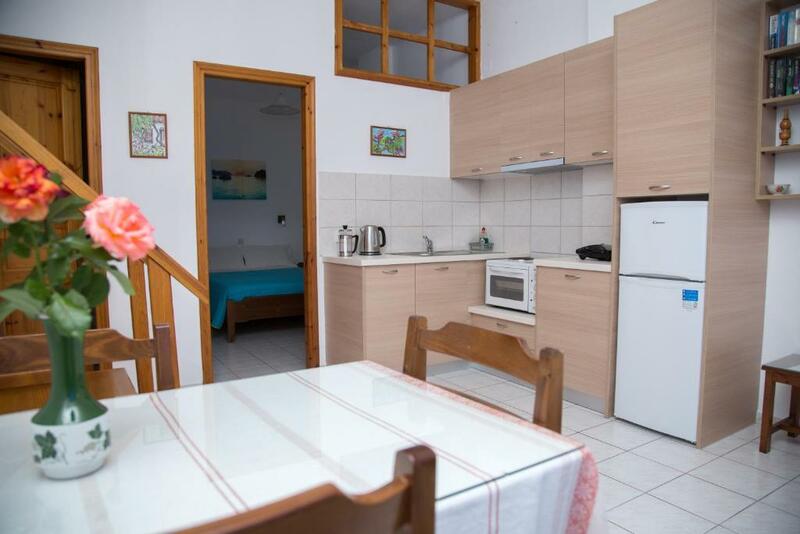 Cooking rings, fridge and toaster are included in the kitchenette, while the bathroom is equipped with bath or shower. Perigiali is located 650 feet from a supermarket. The International Airport of Herakleion is 65 mi away, while a bus stop is within a distance of 1,000 feet. Free private parking is possible on site. When would you like to stay at Perigiali? Opening to a patio with views of the Libyan Sea, colorful garden and mountain, this air-conditioned apartment comes with free Wi-Fi, a satellite, flat-screen TV and a kitchenette. This air-conditioned, split-level apartment offers a spacious, shaded patio with dining table and views to the colorful garden, beach and mountain. Includes free WiFi, a satellite, flat-screen TV and 1 kitchenette. An extra bathroom is also included. Featuring Libyan Sea, garden and mountain views, this air-conditioned, 1-bedroom apartment has a spacious, shaded patio. It comes with free WiFi and a satellite, flat-screen TV. Cooking rings, fridge and toaster are included in the kitchenette, while the bathroom is equipped with bath or shower. 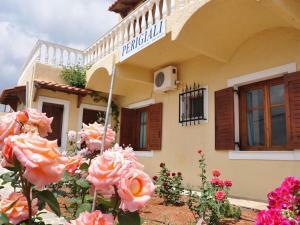 Perigiali apartments’ is a small family-run business. It is a countryside residence with a particular colour and charm, 50 meters from the beautiful beach of Kalamokania, which is exceptional for its natural beauty, the cleanliness of the sea as well as its peace. 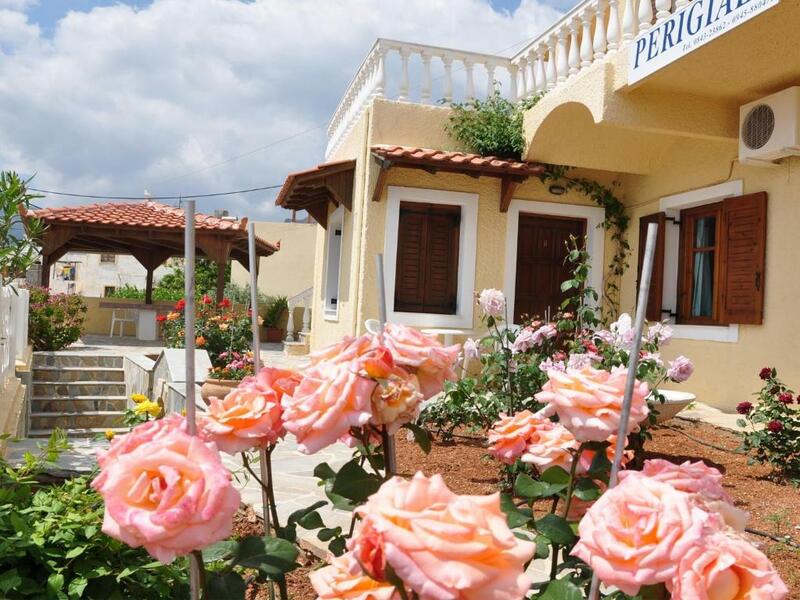 A colourful garden surrounds the apartments, which, in combination with the quiet and the warm hospitality which we offer our guests, makes it an ideal place for relaxation, peace and restful holidays. We are pensioner teachers and during the tourist season we stay on the 1st floor of the apartments. We like the sea, reading books as well as walking around our beautiful area. We do everything possible so that our guests are happy, offering family hospitality, convenience to everything they might need as well as information regarding choices for everyday getaways. In our neighbourhood, a visitor can enjoy the sea, the sun and the tranquility of the area, which is not heavily visited by tourists. He/she can taste the Cretan specialities, coffee or drink without using a car. A beautiful pedestrian lane of about 300 meters connects our neighbourhood to the small port of Makry Gialos, where one can visit many tavernas and cafés of the area. House Rules Perigiali takes special requests – add in the next step! Perigiali accepts these cards and reserves the right to temporarily hold an amount prior to arrival. Please inform Perigiali of your expected arrival time in advance. You can use the Special Requests box when booking, or contact the property directly using the contact details in your confirmation. Only one cooking hob and slightly lacking in cooking utensils for are needs. Would have liked a toaster and microwave but adequate for most people. No wine as advertised when arriving, but small can of beer, water and juice. Would have been nice to have a microwave or toaster in room. There was no hot water for the first few days but that got sorted on the 4th day and there could have had more kitchen facilities ie microwave/grill as the only apartment with a barbeque was occupied so we were unable to use that for cooking. We didn't like the fact that we staid only for four days. Unfortunately the local mosquitoes didn't like us. Friendliness of George and Dispera who live above the complex and who provided clean and very comfortable accommodation at a very acceptable price. There is an air condition in the bedroom which was not working as well as we would like too. It is probably an old unit that is not able to cool the whole studio. The bathroom was a bit small I would appreciate a slightly bigger shower cabin. In general: it was a great stay everything was great but the facilities are a bit old. The hosts were amazing! Truly hospitable, friendly and helpful. Upon arrival they offered us wine, fruits, juice - what a nice welcome :) they attended all our needs immediately. They had sun umbrellas in each room that you could use in the beach which is right next to the hotel. The location was also very nice. 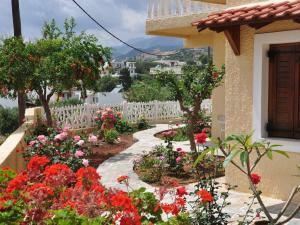 It's very close to Makris Gialos but situated in a calmer beach - 5 minutes walking to Makris Gialos. Loved our stay and would recommend the hotel. Accomodation near excellent beaches. In addition the location offers many options for night life that are really close to the accomodation. Excellent choice for relaxing vacations. I loved absolutely everything. Great location, great host. Simple, yet very comfortable room! 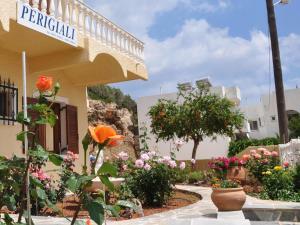 Great location and lovely coastal walk to makrygialos strip. Beds super comfortable and air con excellent. Beautiful outside areas to the property for dining and relaxing. Friendly host and nice welcome refreshments and snacks.